Ad blocking is a hot topic, everyone from NY Times to Vox is talking about it — especially since Apple approved the ad blocker, Crystal, with iOS 9; turning what was a growing annoyance into a large-scale assault on the online publishing industry. 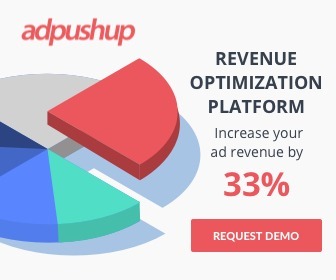 If you’re a blogger or web publisher whose primary source of income is display ad revenue, you know exactly how it feels when you see those revenue numbers falling month after month even though you’re putting in double the effort. It can be disheartening and most users don’t even realize that they are inadvertently putting their favorite websites out of business. Wait, what? I know. I know. It sounds counter-intuitive. In a way, users who use ad blocking software are essentially cheating you out of your money while still using your server and bandwidth resources. However, they may be helping your website in other, less obvious ways. Maybe they land on a page and end up sharing a post on their network — increasing its reach to other non-ad block users. In the end, it is important to exercise restraint before applying any heavy-handed tactics to dealing with ad block users… lest you end up completely alienating them. Think about whether you, in your particular situation, will be better or worse off if you just ignored ad block users altogether? Can you live with it? If yes, perhaps it’s best to leave it at that. If not, read on. Users want content. You want to cover your expenses and hopefully make some money. This is a fairly simple transactional relationship to understand. If the users fail to keep their end of the deal, then letting them know about it is a reasonable thing to do. What message you wish to convey to your readers is entirely up to you — you can politely explain to them how important ads are to your business (many are likely to respond positively to this if you ask) or you can be funny like OKCupid chose to be. What’s important is that the message be compelling enough to elicit user action. You need your users to whitelist you. Most ad blockers allow users to add a list of websites from which ads will not be blocked — exceptions to the rule basically. Once you’re on the whitelist, all your ads will be displayed as is. Now you can either do this manually by writing code to detect if a user is using an ad blocker or you can install Adblock Notify on WordPress, which apart from detecting and notifying the user, also gives you counters and stats. The most heavy handed tactic of all, if you just don’t want anything to do with ad block users, you can just redirect them to another web page. The redirect page could be one of your own pages (maybe a page where you request them to whitelist you) or a third party page: Any URL basically. Keep in mind though that there’s a high chance that the readers who are redirected this way will not be coming back to your website. Here’s a fact: Internet users didn’t just wake up one day and declare in unison, “Down with online ads.” It’s a consensus that built slowly and steadily as ads kept getting slower, tackier, and more bloated over the years. As a result, someone one day built a clever workaround to them called ad blocking and its use had been on the rise ever since. If developers, advertisers, and publishers really want a long-term solution to the problem of ad blocking, at some point, they’ll have to take responsibility for making ads faster, less intrusive, and more relevant. While a lot of progress has been made on that front in recent times, it’s still far from ideal. As a publisher, you can do your bit by choosing a high-quality ad network and carefully monitoring the quality of ads that are being served on your website. Use filters to block out questionable categories such as gambling, adult, drugs, weapons, and any other that may not go down well with your readers. You can also use an ad marketplace such as BuySellAds to serve a personally curated list of ads which you think are the best fit your content and audience. You know what they say, never put all your eggs in one basket. Nowhere is that metaphor more applicable than in the context of revenue streams. If your only source of revenue is ad revenue from display ads, you have a problem. There are many ways of generating revenue other than ads, in fact, some of them turn out to be much more profitable than ads. You can join an affiliate network, monetize your email list, accept sponsored posts and articles, generate leads for businesses, sell products and services, or even offer consulting services if you’re up to it. It doesn’t matter what you do, as long as you do something other than just display ads. This will not only bump up your overall earnings now but also insulate you against any major shifts in the ad industry ecosystem in the future. Disclaimer: We feel that blocking ads is not a long term internet-friendly solution and discourages publishers to create freely accessible content. However, we do realize how obtrusive and UX unfriendly some ad formats and networks are. Some initiatives like Acceptable Ads might be the right solution. What is the Difference Between Net vs Gross Bids in Header Bidding?